There are few projects on how to make your own cordless drill, but what sets [Johnnyq90’s] amazing project apart is the fact that his power plant is a nitro engine. Not an easy task of course, but he makes it look easier than it is, and we really enjoyed the construction process. He uses an RC Kyosho GX12 engine that was previously modified, changing the cooling head with a larger one. The engine drives a gearbox that was taken from another drill. All other parts were hand made. The clutch was carefully machined, and the cooling fan was made in a 3D printer. Other necessary parts were the frame, brass spacers to adjust the engine height and alignment, throttle arm and handle. In the end even the gearbox had to be modified for higher speed. The finished drill sure looks and sounds terrific, and seems to be perfectly capable of doing its job. As with other mechanical projects from [Johnnyq90], the video has good timing and attention to detail. His channel is definitely worth a visit, specially if you like turbines. Great project but the welding was hard not to cringe at! My main concern is the throttle nut clinging for dear life by half a thread. Nice project though. I can’t imaging trying to run screws in with it, but the energy density of nitro could make it useful for remote applications where weight or electricity are restricted. You say this like it’s a practical thing. I’d far rather take Jenny List’s side in this argument (http://hackaday.com/?s=electric+chainsaw) and say that you’re better off using a generator when you’re in a place with no power available. That way ALL of your electric tools are available to you. I mostly use a drill with ~20V LiIon battery at such a place. Only if I have higher power requirements, I start the generator. E.g. for a small circular saw with around 450W. I have also an inverter, but unfortunately it does only 300W. It is supposed to do 600W short time, but it does not work to “start” the 450W universal motor and the connection of a 90W fridge blew the 30A fuse of the 12V side. Back in the Seventies or Eighties there was a company out of Japan, I believe, that sold a line of ICE hand power tools and they had a drill on offer. They were not too popular, as I also recall seeing advertised by a liquidation firm for a few months before disappearing. Must have been late 80s. :-) Anyway, Ryobi used to sell a gas-powered drill. Here’s an ER-180 that at least wasfor sale: http://www.supertopo.com/climbers-forum/1060407/Ryobi-ER-160-gas-powered-hammer-drill-for-sale . My hazy memory makes me think Sears stocked them at one point? Still, nice hack. My complements. I thought you could still get them actually…. for drilling 1″ holes in concrete and the like, wouldn’t exactly call it a hand tool though. I believe I’ve seen big disk cutters too. You can still get a few heavy-duty tools gas powered, the ones I’m remembering were smaller scale and looked like they were powered by large model aircraft engines. They were the sort of tool you could use with one hand. You still find these in use in specialized fields. Arborists use gasoline-powered drills with auger bits when installing support cables on trees. I was using an older version of that yesterday, as my milling machine variable motor has gone pop again… stick to belt drive. There are some amazing youtube videos showing people re-working nitro engines into tablet top pieces. My personal favourite is the ridiculous gear shredding nitro pencil sharpener. Products of a dumpster dive no less. Very cool. Side note: invest in decent of drill bits and other tooling. Those big box store bits are crap. As someone who machines a lot of steel and aluminum i can tell you a quality production drill bit or other tooling is magnitudes better than cheap ones even factoring in the price difference. They have particularly got wildly varying in quality the last 15 years or so, pay $50 for a set of 10, might not be any better than the set of 100 for $15. Biggest problem with most of them is the point is off center and it’ll pull half a diameter or more off your mark… even in a press, you can see the bit bending to do it. It doesn’t seem to drill very well. It takes a long time for him to get a cm or 2 into that bit of wood. It is also crazy loud. It sounds like a mini chainsaw. Nice build, but not very practical. they are glow plug engines, they were always glow plug engines, if they don’t have a glow plug, it’s a “diesel”! Sorry guys, but I’ve seen too many engines stuffed from %15 nitromethane, when all they had to do was go to a bigger engine. the first thing to wear is the big end bearing on the conrod, after that the cylinder liner will start to “go oval”. 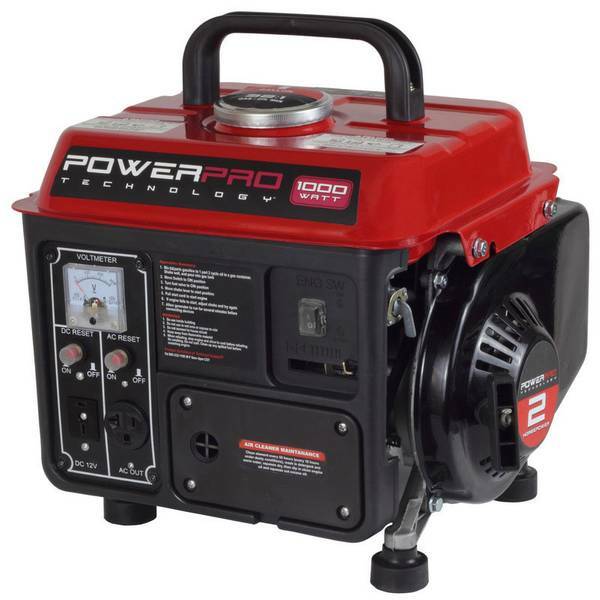 if a .15 isn’t enough power, go to a .20 – .30, same goes for larger sizes. this project is a perfect case for not using “nitro fuel”, plain glow plug fuel will run cooler. then again, I did make the model shop guys wince and cringe by telling them I’d mixed up a batch of GLOW PLUG FUEL, with “methylated spirit” and canola oil. Interesting but what is glowplug fuel and the other words you used! normal glow plug fuel is methanol and castor oil, 20:1, for a “diesel” it has about 2-5%ether added for starting. I’ve tried ethanol at 20:1, you can notice the difference. I’m not sure what [cyberteque]’s particular bias is against “nitro”; many of the fuels I’ve seen sold for glow plug engines have some amount of nitromethane in them. And if the builder is calling a “Nitro-Powered Drill”, I would guess that he is aware of the distinction and is using a fuel containing nitromethane. it wears the conrod and cylinder liner out REALLY fast! I’ve got an OS 15 I’ve had for 40 years and it still runs well. This is a fun build, but in the practical world this kind of tech lost out to 2-stroke 1kw AC generators that you can pick up at the local farm store for less than $100 on sale. Swap the plug and tighten everything before you start using it and you’re good to go for a long time. I’ve got one and they’re a ridiculously handy thing to keep around beyond the reach of an extension cord. Very similar to mine, which is exactly the same size, but only rated something like 650 to 700W. I mean I also used it already for a 900W 125mm disc grinder, but I had to be careful not to apply to much pressure, otherwise something stalled, I think it was the excitation, so the voltage just dropped down. I have been watching for a good one with continuous 1800W, so it can run anything I plug into a standard US socket. Honda makes a very good one, pricey though. There are cheaper ones by other manufacturers but no idea if they are built well. You should look at the 2kw inverter generators (honda and the many knock offs). The guys that put in the high tension fence around my cattle pasture had a gas powered drill. Not sure where they got it, but they are commercial products. If you want one and don’t have unlimited time you can actually buy one. On the flip side, that was a very nice build! I’m quite surprised about that as the GX 12 is not the most powerful motor available. it’s why they were given away on a magazine. Congratulations on successfully building that which should NEVER be built! There are the old Swedish Pionjär (Pioneer) and later Cobra rockdrills, they have an interesting opposed piston engine where one piston hits the hammer and the other rotates the drill. Total workout even before you have gotten it started, not mentioning the actual drilling.